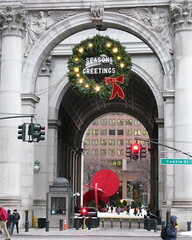 This wreath is hanging above the plaza of the Manhattan Municipal Building, a magnificent limestone structure at the intersection of Chambers and Centre Streets, just north of the Brooklyn Bridge. 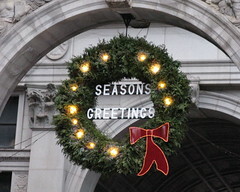 Happy Holidays to you and yours from the City of New York. 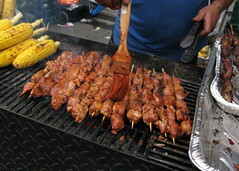 You are currently browsing the Blather From Brooklyn blog archives for December, 2009.